The original smudgeproof, sweatproof, waterproof, fixed air applied cosmetic. A.G.P.C. contains our own acrylic copolymer Silicolor , which allows the cosmetic to be resistant to moisture and light abrasion formulated in at an amount which allows it to be removed with only soap and water. 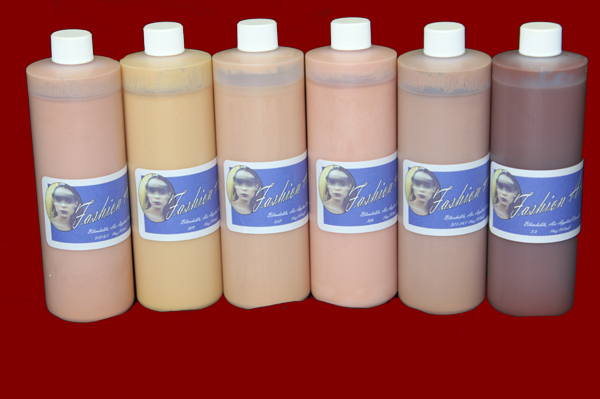 Safe for use on skin or latex as all ingredients are cosmetic grade, FDA Certified. 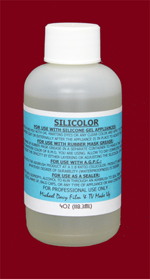 Compatible with Silicolor and available in all PROSTHETIC COSMETIC colors. 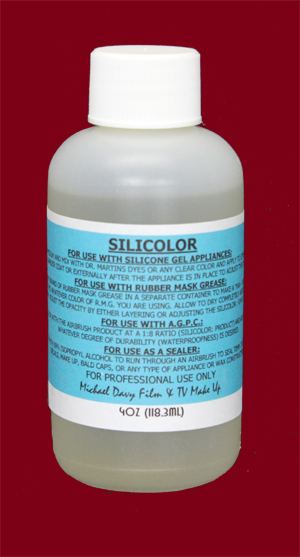 Ideal for use over foam latex, gelatin, or silicone appliances. Also ideal for use as a temporary tattoo color, tattoo cover, semi - permanent makeup, body paint, or underwater make up. (see color chart). Recommended when a layered opacity is desired. Setting powder optional. To make completely waterproof add Silicolor to increase the durability to Temporary Tattoo strength. 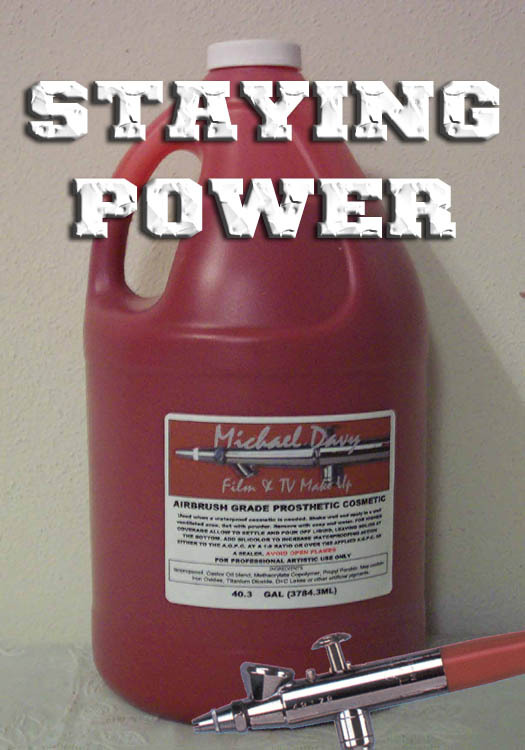 Used at many large theme parks worldwide. Our Red can be used as a fixed blood when applied with a brush and is used as such in our famous Water-melon Appliance Kits. 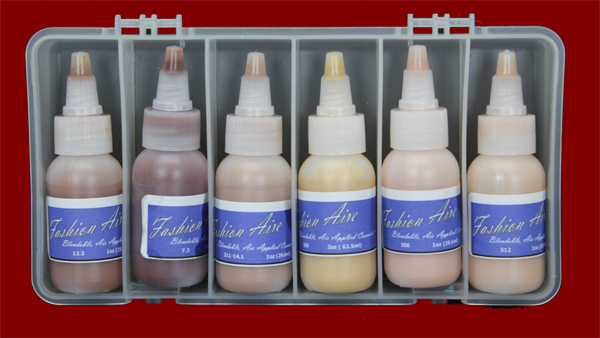 A new, heavier formula of our original Airbrush Grade Prosthetic Cosmetic foundation but with increased cosmetic content. It has the same durable qualities as the original but is visibly heavier, requiring less material and time to achieve the same coverage. 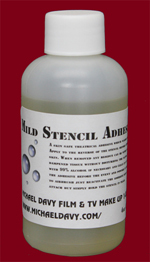 It is ideal for use with appliances, usually requiring only one or two passes with the airbrush to opaque the appliance. It is also ideal for covering tattoos or using as a temporary tattoo color. A.G.P.C.2 is also heavy enough to be applied with a regular brush or sponge and is more durable than P.A.X. (see color chart). Recommended when a heavier, opaque coverage is required. Setting powder optional.
" 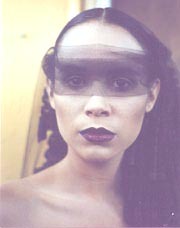 Like a powder through the airbrush"
Use just as you would use a dry eyeshadow or dry blush. High fashion foundation which is matte, durable and blendable with a sponge or puff after application. 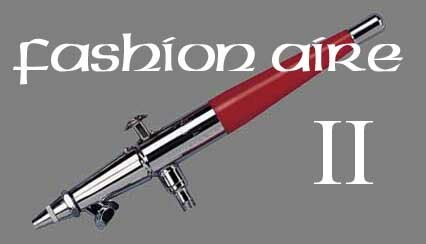 Ideal for use as runway makeup, salon makeup, night club makeup, weddings and effects with our U.V. 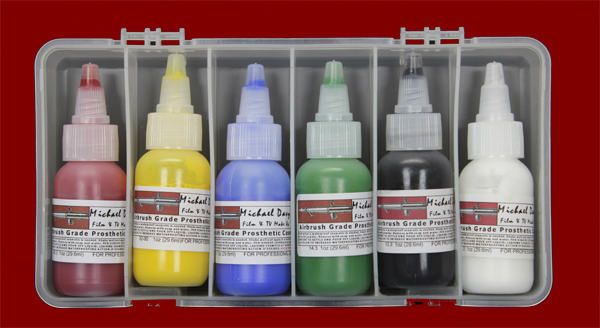 blacklight airbrush colors. Can be made waterproof and smudgeproof with Silicolor. 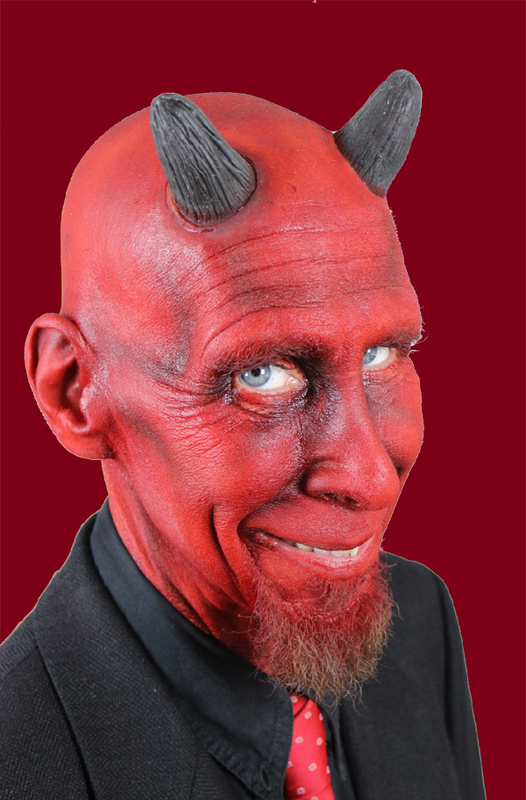 Available in our 50 color selection (see color chart). Recommended when a sheer, translucent or "layered" application is desired. Applies evenly and smoothly with no spitting. Setting powder not required. A heavier version of our original High Fashion foundation which is as matte, durable and blendable as the original but now with higher coverage and faster application. Ideal for use as runway makeup, salon, studio, weddings and night club makeup effects with our U.V. blacklight colors. Also, just as the original it can be set with Silicolor. Available in our 50 color selection (see color chart). Recommended when a more opaque application is desired. Applies evenly and smoothly with no spitting. Setting powder not required. After many years of inventive airbrush tattoo artists combining AGPC and Silicolor on their own to achieve a cost effective Temp Tattoo product we have finally succumbed to the industry demand and developed our own ready made Airbrush Temp Tattoo color. Known already as the "industry secret" it's been in use by many of the top Temp Tattoo Artists working in the worlds entertainment centers, only now it's premade and ready to go. 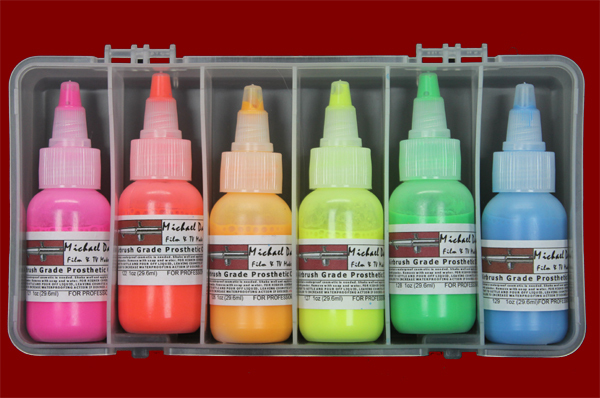 Available in all of our 50 color selection (see color chart) including flesh tones, metallic silver, gold, copper and bronze. Also available in 9 UV black light colors and "Glow in the Dark". Due to skin differences and environmental factors the number of days any temporary product lasts on the skin can vary widely from 3 to 5 days. This time can be adjusted by the use of more Silicolor either used over the finished tattoo as a sealer or added to the Tattoo color before application. THIS PRODUCT IS WATERPROOF AND MUST BE REMOVED SAFELY WITH ALCOHOL. DO NOT ATTEMPT TO REMOVE BY RUBBING AS THIS CAN DAMAGE SKIN. 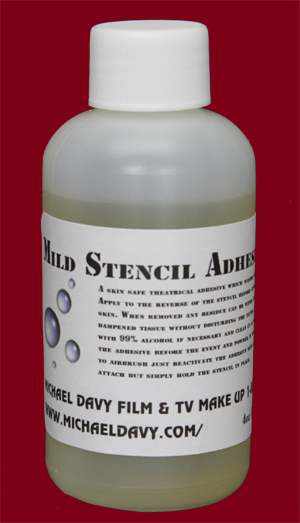 A skin safe theatrical adhesive which washes off with soap and water. Apply to the reverse of the stencil before application and press onto skin. When removed any residue can be wiped away with a baby wipe or dampened tissue without disturbing the tattoo.